The long tail of zebra shark allows it to be more agile in the water. This allows them to swim quickly and catch their prey and run from their hunters. 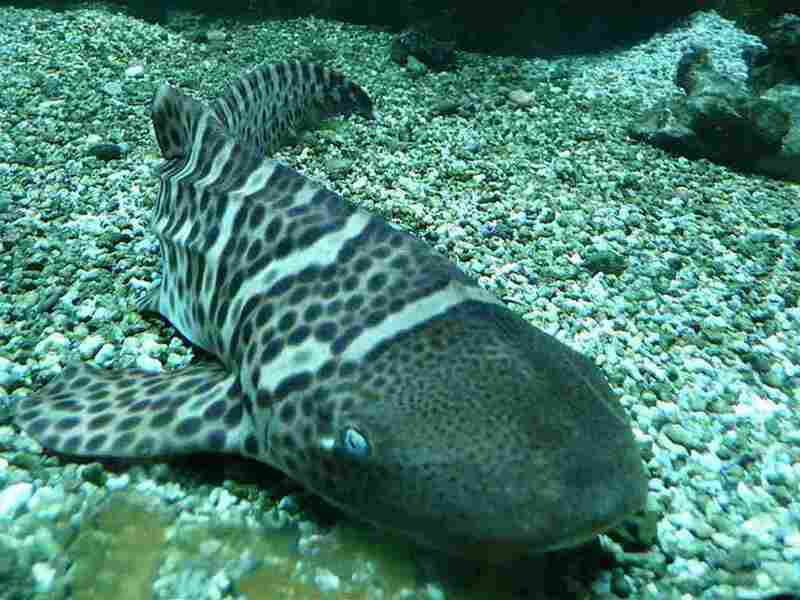 Zebra shark is Black, Brown, Grey in color. The dark color allows them to hide from their prey and predators. As zebra sharks have intense patterns, they are included in the group of carpet sharks, as the patterns on a zebra shark look like the designs of a carpet. They have tail fins on their body that are able to grow as long as their body. Zebra Sharks accommodate quickly to captive conditions and can be seen in aquariums due to their attractive appearance. However, these sharks overgrow home aquariums if they are kept. Unlike other sharks in the sea, Zebra sharks only bite if they are angered or annoyed. Otherwise they are innocent creatures. Zebra sharks have become habitual of being touched and fed by people. They are gaining interest from tourists who usually include them in their travel destinations. The mouth and teeth of Zebra sharks are designed for crushing through the exoskeletons and other shells of their prey. Still they are not considered a violent shark. Zebra Sharks are classified as vulnerable animals in the red listof IUCN (International Union for Conservation of Nature).